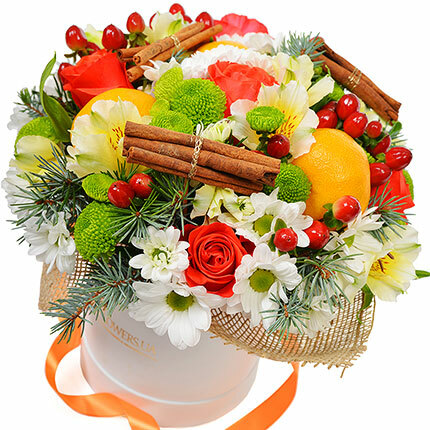 Сomposition in box "New Year's confetti"
Stylish and extremely beautiful composition will surprise your recipient and would be an unforgettable Christmas present! 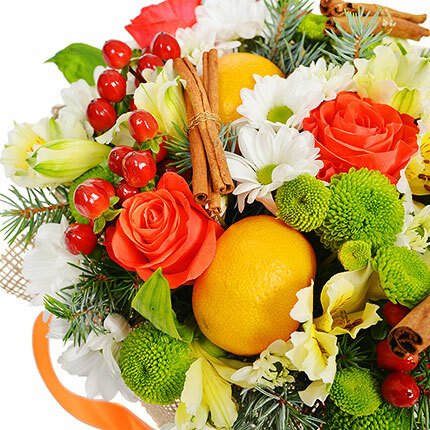 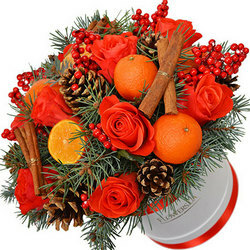 Composition: 5 coral roses, 3 branches of white and green chrysanthemums, 3 alstroemerias, 3 mandarins, hypericum, fir branches, decorative box, floral material. 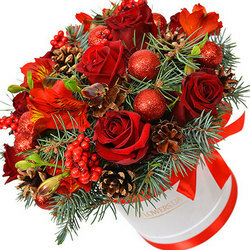 Composition in box "For 31 December!" 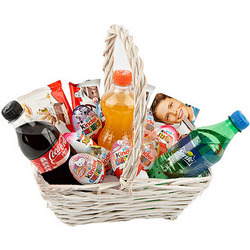 Gift basket "New Year's Miracle!" 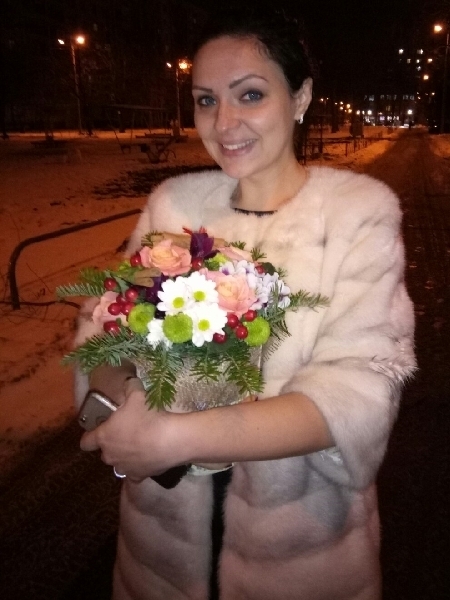 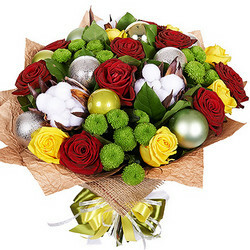 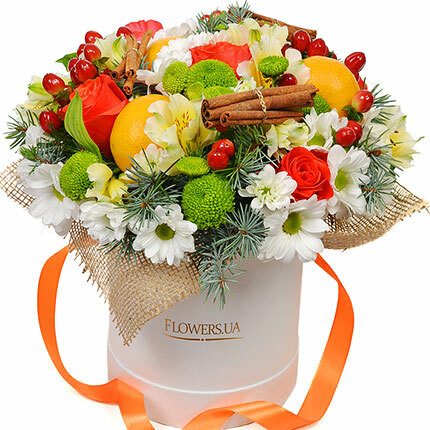 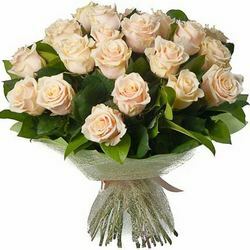 20032019 © Flowers.ua Сomposition in box "New Year's confetti"